April 11th, 2013, 4:14pm :: LAUSD's summer enrichment programming, which features free art, drama and music activities for elementary and middle school students, will be reduced again this summer. 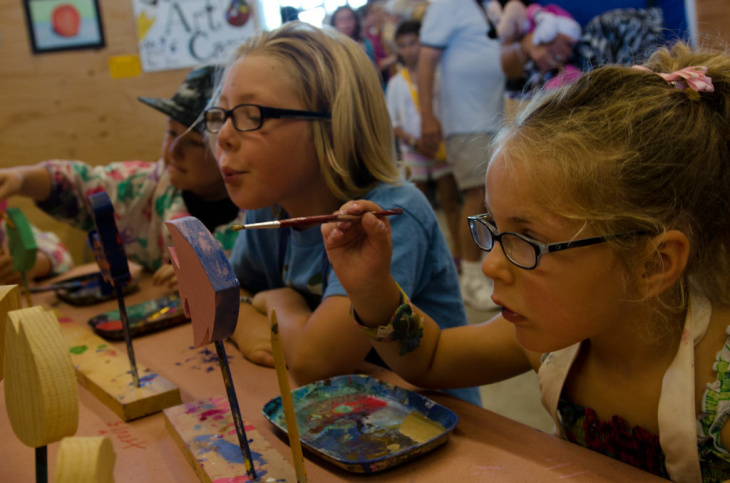 The Los Angeles Unified School District announced today that funding limits are forcing it to reduce its summer enrichment programming, which includes academic, fitness and other enrichments like art, music and drama activities. The free summer program will be in about 160 LAUSD schools, down from about 180 schools last summer. Four years ago, L.A. Unified offered the program in more than 300 schools but funding has been cut by about 60 percent since then, Cortés said. Cortés expects the reductions to be especially challenging for working parents. Beyond the Bell’s summer program provides free supervised care for elementary and middle school kids for six to 10 weeks during the summer months. Cortés hopes Proposition 30 will help restore some funding for the 2014 summer break. This year's summer programming will begin June 10. LAUSD summer school courses are facing more major cuts. The budget for that program, which offers academic classes, used to be $43 million and served 2nd through 12th graders. This summer, the program is operating on $1 million budget and will serve only about 5,000 students who need to make up classes, according to Cortés. TEACHERS: WILL WE EVER LEARN? A BROAD CONNECTION TO THE ATLANTA SCANDAL?